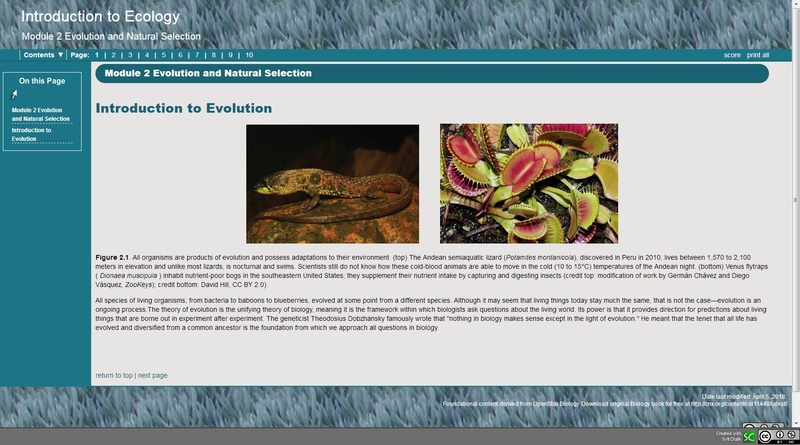 In this introduction to ecology lesson, students learn about Charles Darwin, natural selection, evolution and misconceptions of evolution. 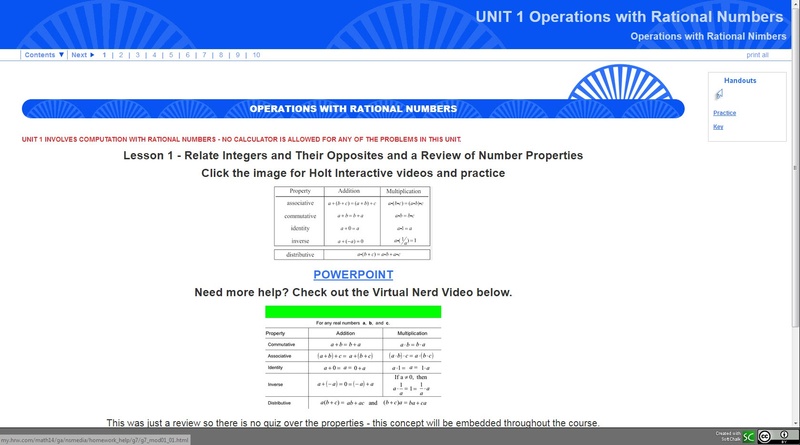 In this lesson students relate integers and their opposites, learn about equivalent fractions and how to add and subtract rational numbers. 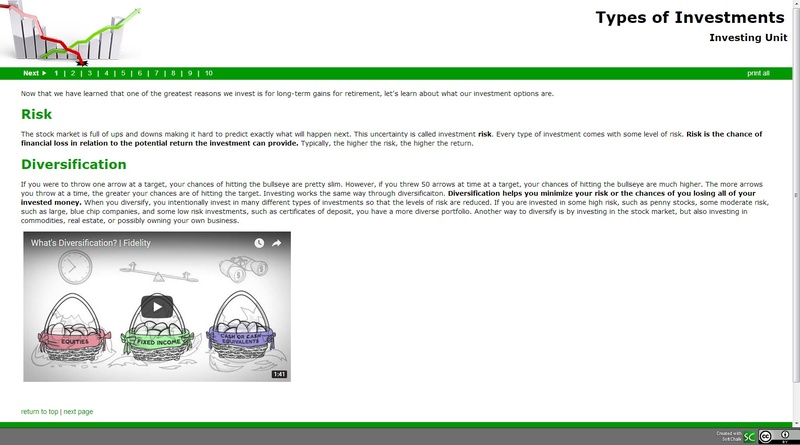 This lesson teaches students about different types of investments, the importance of diversifying your investments and about the various levels of risk associated with investments. 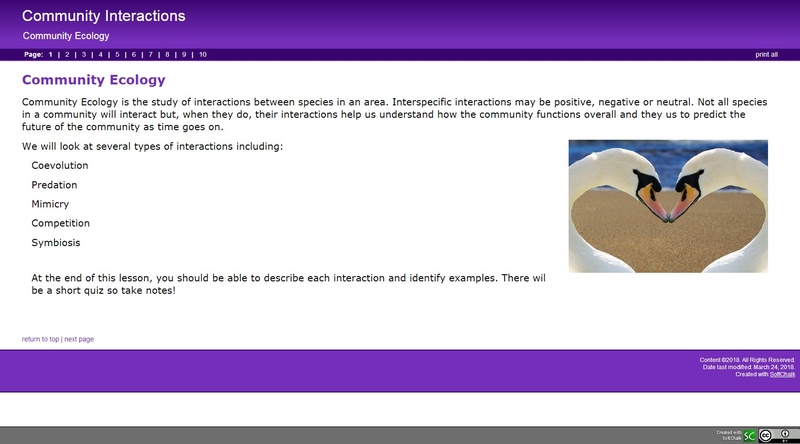 Students learn about various types of community interactions in this lesson. They learn about co-evolution, mimicry, symbiosis and how those interactions help us understand how the community functions.